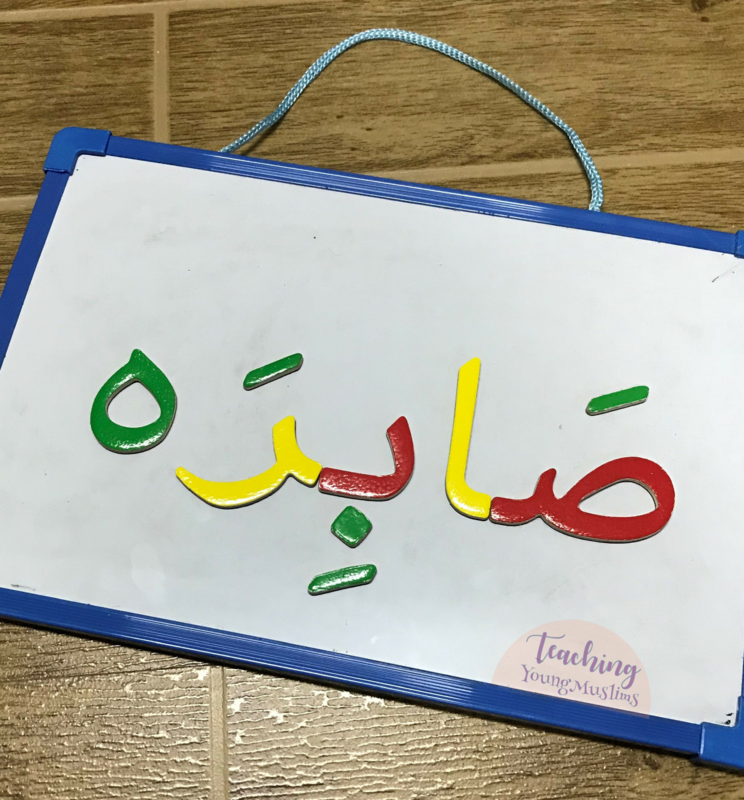 We seriously love these Arabic magnets. 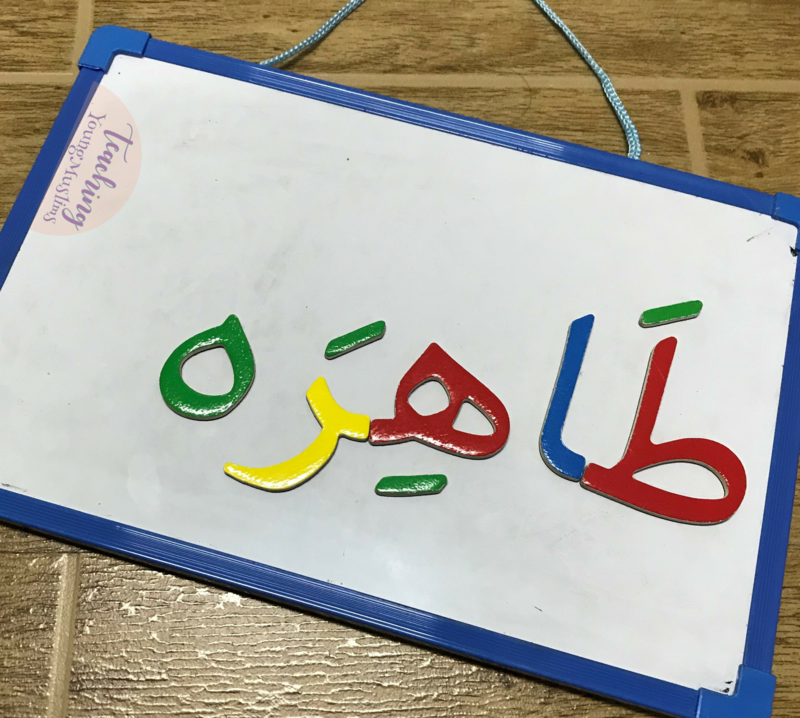 During these days of learning about Bibi Fatemah (SA), we used these magnets to build her name and some of her titles. We talked about how she was a kind and generous lady, and that she had many titles to describe her. 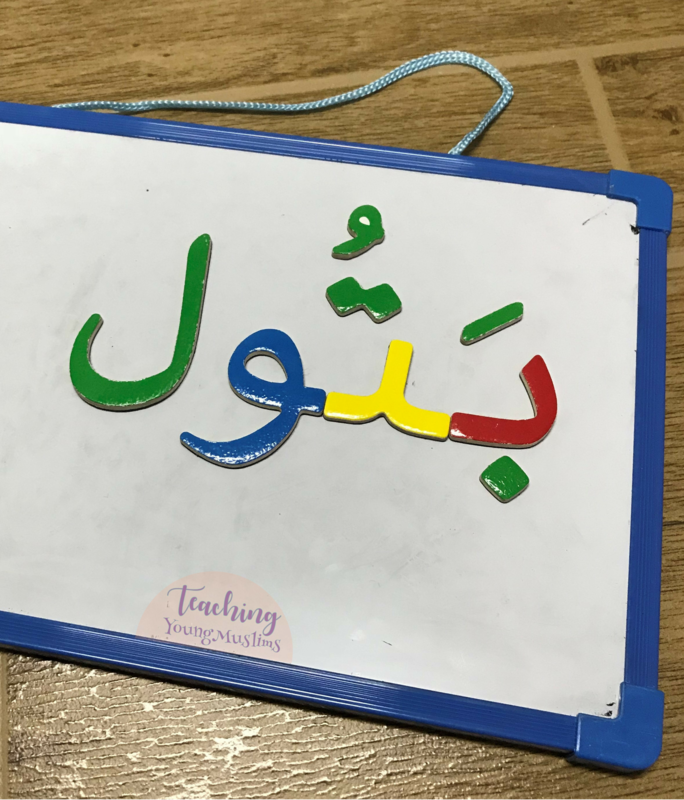 We remembered our discussion about the Ahlul Kisa, that they are the most pure and most perfect. For that reason, she has the title Tahira. 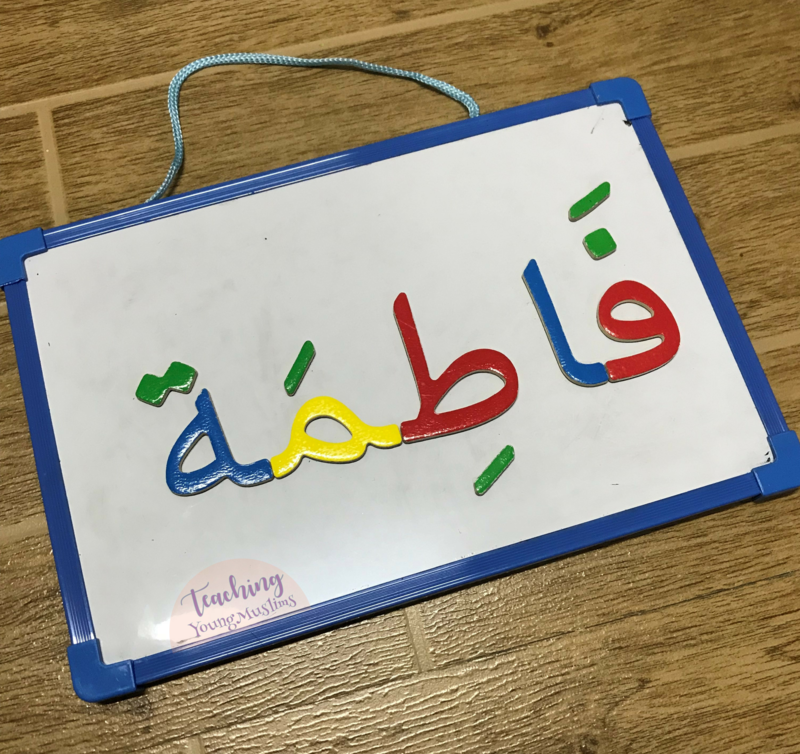 We used the magnets to spell out the word “Tahira” in Arabic. We also built a few more titles using the magnets and discussed what they each meant, in as simple terms as possible. 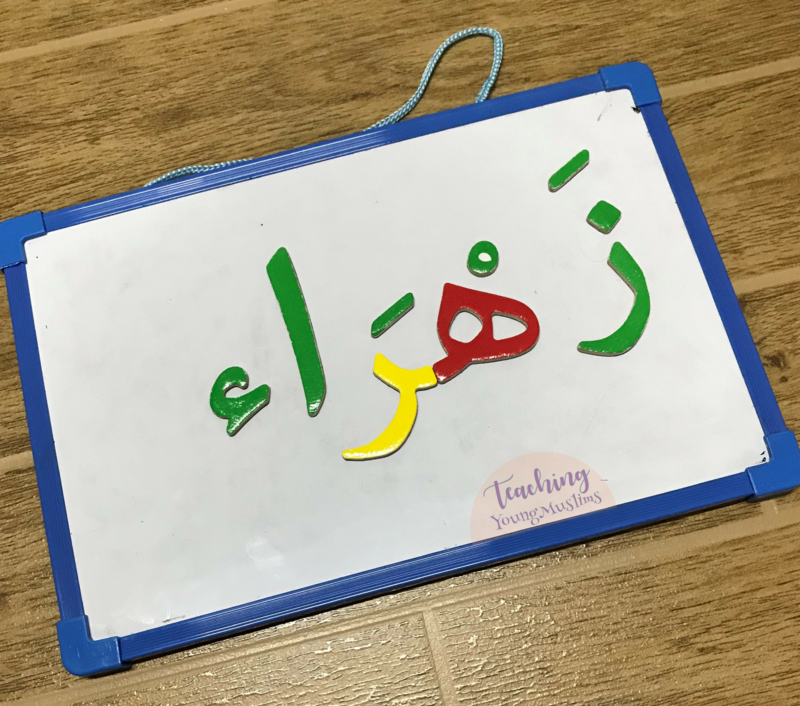 Another activity for the titles of Bibi Fatemah (SA) can be found here.